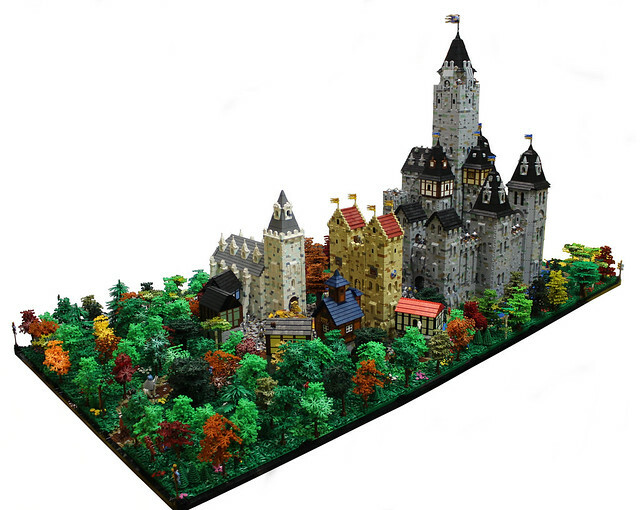 I really like this castle diorama by builder LegoLord. One of the things I find a bit tiresome in castle MOCs, especially large scale ones, is the tendency to get a little "one note". By that I mean textures that can be complex, but all the same, color palettes that become monochrome in large volume and structures that lose their identity in clusters. Here we have foliage that is interesting and diverse at any distance, each structure has it's own identity, and details that are rich up close, but don't become distracting when you step away. Click through for many more pictures.